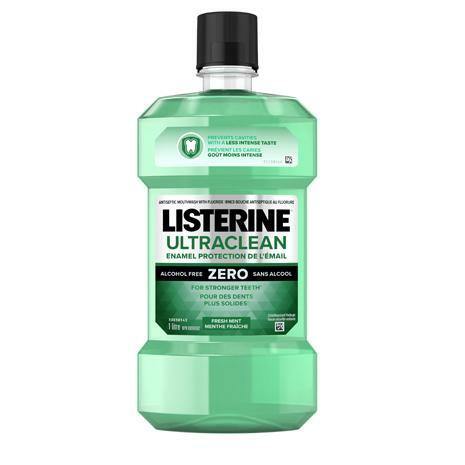 LISTERINE ULTRACLEAN® ENAMEL PROTECTION ZERO Antiseptic Mouthwash is rated 5.0 out of 5 by 1. 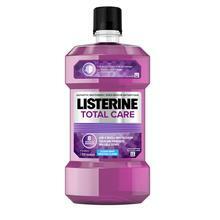 Looking to fend off cavities and help rebuild your enamel, but with a less intense taste? Look no further! 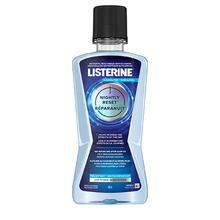 LISTERINE ULTRACLEAN® ENAMEL PROTECTION ZERO prevents cavities and helps strengthen tooth enamel. You'll make your dentist (and yourself) proud! Use after brushing teeth with toothpaste. Adults and children 12 years and older: Rinse full strength with 20 mL for 30 seconds twice a day. Children 6 to 11 years: Rinse with 10 mL for 30 seconds twice a day. DO NOT SWALLOW. Do not eat or drink for 30 minutes after use. Supervise children under 12 years of age in the proper use of the product. See product label for complete instructions. Rated 5 out of 5 by Roobster23 from Great addition to oral care routine I took the 14 day challenge and checking in helped keep me accountable to rinsing 2x per day. My teeth feel great (that nice smooth dentist clean feeling) and my gums are not bleeding or inflamed. 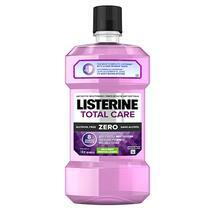 I can floss with out seeing "Pink in the sink" My routine will always include using listerine. Hopefully when I go see my hygienist she will notice the difference.